Mindfulness is a word used to describe being aware of your thoughts without passing judgment on yourself. So many times people tend to live in the past or the future instead of the present. There’s obviously nothing wrong with taking a stroll down memory lane, or daydreaming about what your future holds, provided these thoughts don’t interfere with you living in the here and now. In many cases, people are so busy living in the past or the future that they ignore the present and do things automatically. They don’t take the time to stop and think about what they’re doing. In a way, they’re running on autopilot and it’s interfering with their happiness. Being in a state of mindfulness means living your life to the fullest and enjoying every moment you can in the present by being fully aware of your actions at any given moment. 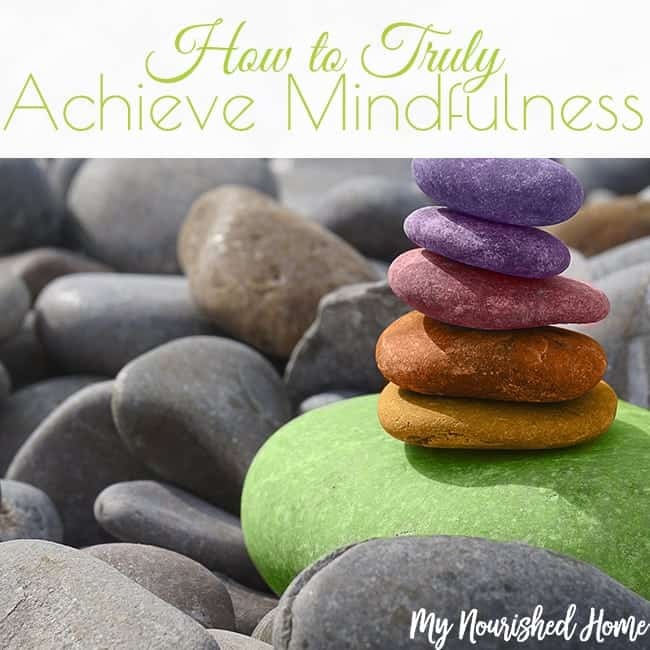 Here’s how to truly achieve mindfulness. Schedule in some quiet time where you can spend 20 or 30 minutes alone meditating. Practice clearing your mind and enjoy the silence for a few minutes. Find an object to concentrate on or set an intention to help you meditate and clear your head. Meditation can help you feel more at peace with yourself throughout the day and it gives your mind a chance to rejuvenate itself. I will be honest, I struggle with complete mediation. It takes me a while to calm my mind to the point that I can hear and feel the silence instead of the rambling list that is always going on in my brain. But those few moments of peaceful calm at the end of meditation make that time so worthwhile. I feel connected to myself, my family and my work when I have taken a moment to be quiet. Mornings are my time for meditation. I find that it helps my morning go more smoothly! Pay attention to your own actions and ask yourself these questions. Why are you doing whatever it is you’re getting ready to do? Is it necessary or is the action the result of some type of compulsive behavior? For example, do you really want dessert after dinner or is it just a habit? Do you really need to check your emails, again? Do you want to sit down and watch a T.V. show instead of going to the gym or for a walk? When you stop and think about your actions, you’re achieving mindfulness during that moment. You get to decide if the action you’re about to take is something you truly want to do or something you’re doing out of habit without thinking. When things don’t go according to plan, don’t get upset and beat yourself up about it. When you get upset over things you can’t change anyway, it distracts you from dealing with the things you can change and puts you in a bad mood that prevents you from achieving mindfulness. If you make a mistake or things don’t turn out the way you planned, don’t get upset. Instead, ask yourself why things didn’t work out and look for a solution for next time. These three things can make a big difference in your life by making you more mindful of the little things that have a huge impact on your overall quality of life. 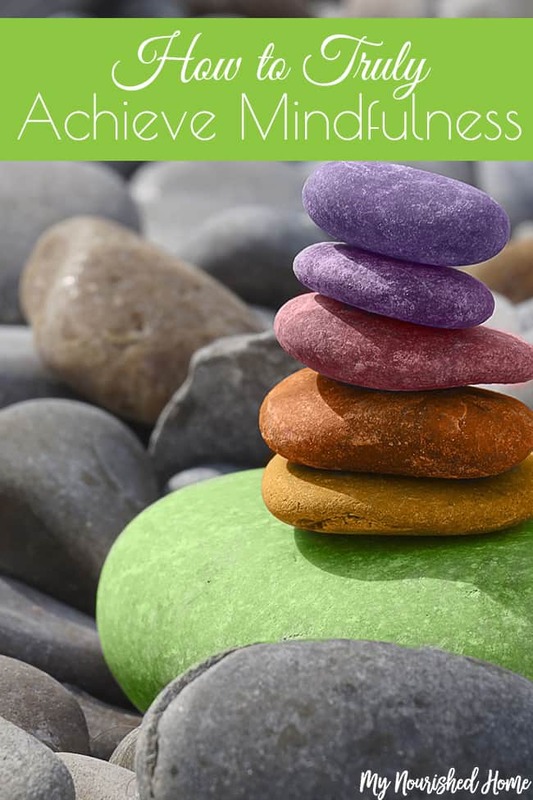 Achieving mindfulness will help create positivity in your life, boost your self-esteem, reduce stress and even help you learn to focus better on the task at hand.